Please note a shunt is required for use with the trimteric meters. 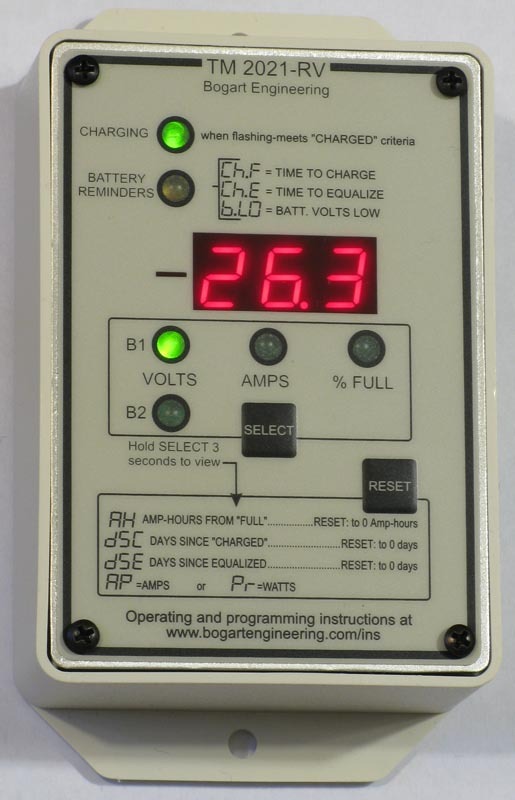 This updated version of the 2025 amp-hour meter operates on 12, 24 or 48 volts. It reads volts, amps and amp-hours on an LED display. Amp-hours can be displayed in actual amp-hour numbers or as "% full." An LED lights when the battery is charging and flashes when the battery has been fully charged. Another LED flashes when batteries should be recharged, equalized, and during low battery voltage. It also records min and max voltage, days since batteries were last charged, days since equalized, and total lifetime amp-hours withdrawn from the batteries. 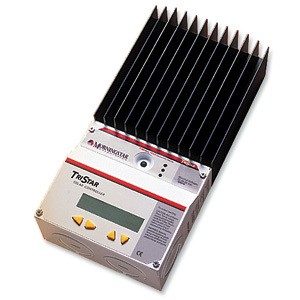 The TriMetric can be located hundreds of feet away from batteries using inexpensive 4-conductor twisted-pair meter wire. A shunt is required for operation. 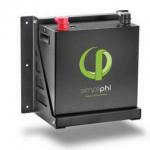 Use the 500-amp shunt if you have a 12V inverter larger than 800 watts or a 24V inverter larger than 1600 watts. 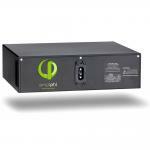 Use a 1000-amp 100mV shunt for systems with stacked XW inverters or where continuous current is over 300 amps. The 1000A/100mV shunt has the same resistance as the 500A/50mV shunt and may be used interchangeably. Order shunt separately. 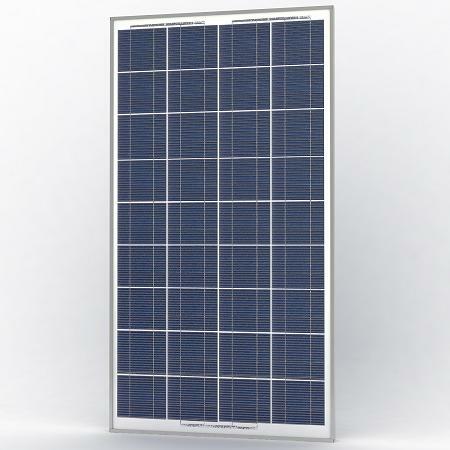 Allows for a maximum battery bank size of 2500 amp-hours. The positive lead to the TriMetric should be fused with a 1-amp fuse. Flush mount or use wiremold box to mount. Made in USA. Dimensions: 4.5" x 4.75". 2-year warranty. 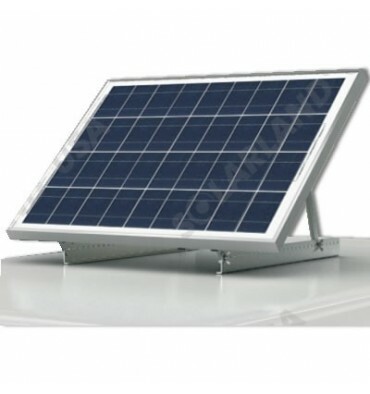 TM-2025 RV version is a little less wide than the TM-2025A and has surface mounted enclosure. The label colors are more subdued than the TM-2025: beige and black.